Card packs are items that players can open to acquire cards for filling a player's collection. Each expansion has its own type of card pack with unique artwork, containing only cards from that card set. Only packs for the current Standard format sets are available for purchase in the Shop, or as rewards in Ranked play, Arena, and Tavern Brawl. Card packs from Wild format sets are obtainable via the online Blizzard shop. Each card pack contains 5 cards from the corresponding set. Each card has a chance to be of common, rare, epic or legendary rarity, but each pack is guaranteed to contain at least one card of at least rare quality. While the majority of cards in card packs are common, it is possible to find multiple cards of high quality within a single pack. Each card also has the chance to become a golden version of that card. The chances for rarities and golden versions are the same for all types of card packs, and buying options do not in any way affect the contents of packs. The contents of each pack are decided at random, at the time of opening. Details such as the amount of cards you currently have (with the exception of Legendary cards, which are guaranteed to be one you dont already have), and which heroes you have unlocked. Card packs are potentially the most cost-efficient means of obtaining cards, but also one of the most random. With their generous but unpredictable contents, they offer a quick way of expanding the player's collection for a particular set, but when wishing to obtain a specific card, players will generally find it cheaper and quicker to craft the card instead. A gnome opening a new card pack. Card packs can be opened by clicking on the "Open Packs" icon from the main menu screen. The number underneath the icon indicates how many unopened card packs you currently possess. Once the Open Packs screen has been reached, all current unopened packs will be displayed on the left-hand side. Drag a pack over to the right-hand section or hit the space bar to open it. Once you open a pack, 5 cards appear face down. This forces you to turn each card individually either by hitting the space bar or clicking each card. Hovering over a card shows a border depending on the rarity of the card. Hearthstone uses quality colors based on World of Warcraft's gear system. Standard format card packs can be obtained in many ways. They can be gained from competing in the Arena, for your first Tavern Brawl win each week, from certain quests, or they can be purchased from the in-game Shop, either for gold or for real money. Standard format card packs can also be purchased from the online shop. Classic card packs can also be obtained as rewards through the Recruit A Friend system. Wild format card packs cannot be purchased in game, and are never granted as rewards. However, Wild format card packs can be bought (for money only, not for in-game gold) from the shop in the Blizzard App or the online Blizzard Shop. There is no price difference between buying cards from the in-game store versus from the Blizzard App or the online store. Players who had packs left over when the set moved to Wild format can still open them and receive cards as normal, and players can still obtain Wild format cards through crafting. The following purchasing options are available. Only the single pack option is available for gold (although players can buy more than one pack at a time); all other options require real money. Players can use any of the payment methods that are also available for buying games and goodies from the Blizzard store. * Russian Ruble prices are frequently changing due to unstable exchange rate. ** Only available on PC and Mac. Note that a discount is offered when buying in bulk. Purchasing 40 packs of cards at once presents a 12-16% discount compared to buying cards in sets of 2. Exact prices and discounts vary by currency. While no bulk purchase option is presented for gold transactions, players can double-click on the '1 pack' option to instantly order multiple packs by entering a number from 1 to 50. This option is not available while using the mobile app. No discount is offered. Players are informed of this option upon entering the shop for the first time with a sufficiently large amount of gold. Purchasing options in the Americas region. All types of card pack feature the same chance of producing cards of any given rarity, and of golden and regular versions. This suggests that the internal process for the selection of each card functions by first determining a rarity, then randomly selecting a card of that rarity to produce. There is evidence suggesting that cards can have "predetermined rarities", experienced when opening packs "again". The cards rewarded from card packs are selected randomly, and may not suit the player's taste or preferred classes. Additionally, players can only use 2 of each card in a deck (and only 1 of each Legendary), meaning additional copies of cards beyond these limits are of no value. When receiving unwanted cards from card packs, the disenchant option can be used to destroy unwanted cards in exchange for Arcane Dust, which can then be used to craft new cards. This process allows players to convert unwanted cards into more desirable options. When you open a Legendary, you are guaranteed to find a Legendary that you do not yet own a (non-golden or golden) copy of, unless you already own all Legendaries of the set. A single pack will never contain more than two copies of the same Common, Rare, or Epic card, or more than one copy of the same Legendary card. Within each new set, you are guaranteed to get at least one Legendary within the first ten packs. When opening packs, cards are displayed using the player's currently selected card back. Hovering over an Epic card. Various attempts have been made to establish the chances of receiving each rarity of card when opening card packs. Note that all types of card pack have the same chances at rarities and golden cards. The following numbers combine data from several other studies. Since the numbers provided by each study are relatively similar, this is mostly for the convenience of a single overview of the statistics, as well as improved accuracy in the rarer cases. The original studies can be found in the linked article. Currently included studies: Steve Marinconz (June 2014), E. R. Kjellgren (August 2014), Amaz (February 2015), HearthSim (August 2015). This produces a total sample size of 27,868 card packs, describing 139,340 cards in total. In April 2017, in compliance with Chinese law, Blizzard published official probablities of card drops. Though the official announcement applies to the Chinese region only, it is likely that the drop rates are across all regions. RARE - At least 1 rare or better in each pack. (This was already known, and implies that at least 20% of all cards are rare or better). EPIC - Average of 1 every 5 packs. (This implies that at least 4% of all cards are epic). LEGENDARY - Average of 1 every 20 packs. (This implies that at least 1% of all cards are legendary). The reported drop chances are slightly lower than the observed drop rates. This is likely an indication that the announcement drop rates have to be read as "at least 1 epic every 5 packs", and "at least 1 legendary every 20 packs". Golden card data gathered prior to The Grand Tournament show significant differences from that gathered after. For this reason the below information is currently taken solely from the most recent study: HearthSim (August 2015). This yields a disenchantment value of 98.25 Arcane Dust per pack, on average. The following table describes the likelihood of getting at least 1 golden card in a given pack. The following table describes the percentage of cards of each rarity which will be golden. There are many strategies to opening card packs to maximize their utility, depending on factors such as how much gold a player earns on average per day, if the player is new, etc. Video of strategies for opening card packs (2018-10-10). The Goblins vs Gnomes card pack and its opening animation was originally designed by Jomaro Kindred, and animated by John Zwicker. Patch 2.0.0.7234 (2014-12-04): Expert card packs have been renamed to “Classic” card packs. 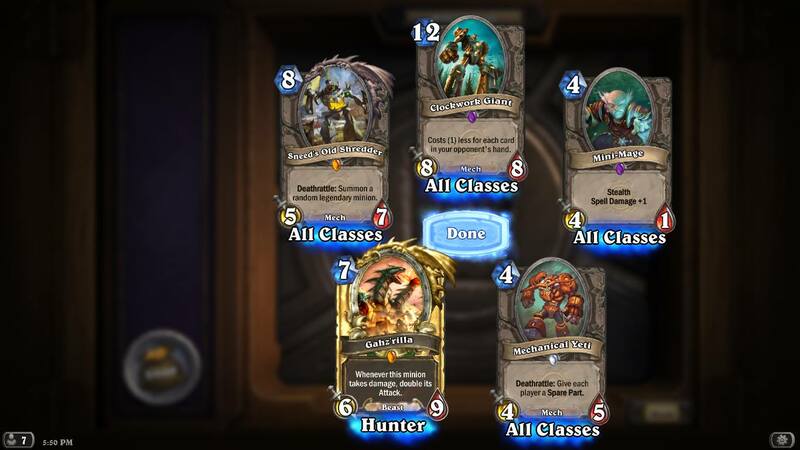 ↑ It is possible to open a pack with no Rares in it, if it has Epics/Legendaries instead: Imgur link. Tested in Patch 2.7.0.9166 (Tavern Brawl patch). Also see Card pack statistics#Notes. ↑ 2.0 2.1 Hearthstone Fireside Chat Goblins vs Gnomes. (2014-11-07). ↑ 3.0 3.1 Ben Brode on Twitter. (2014-12-04). ↑ Ben Brode on Twitter. (2016-04-20). ↑ Ben Brode on Twitter. (2014-12-13). ↑ Ben Brode on Twitter. (2015-06-15). ↑ Ben Brode on Twitter. (2016-08-29). ↑ Ben Brode on Twitter. (2016-04-19). ↑ John Zwicker on Twitter. (2014-12-09). ↑ Yong Woo on Twitter. (2014-12-08). 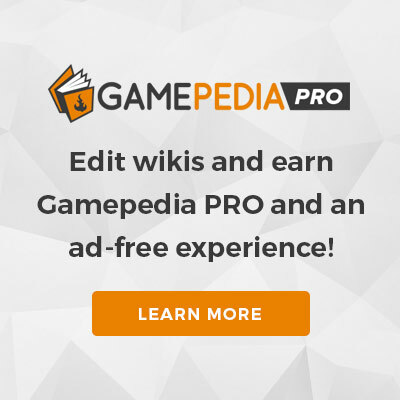 This page was last edited on 14 January 2019, at 02:50.